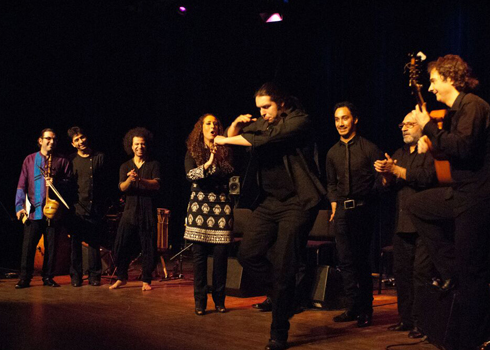 Flamenco and Iranian classical music? Yep. See Wednesday. 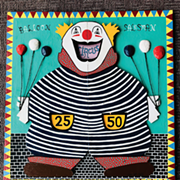 NEOSonicFest and Baldwin Wallace’s FOCUS Festival dovetail this week. The last NEOSonicFest performance is also the first concert of BW’s festival showcasing works by New York composer David Lang, one of the founders of Bang on a Can. On Wednesday, March 16 at 7:00 pm, Steven Smith will conduct the Cleveland Chamber Symphony in Lang’s statement to the court (based on a famous speech by Eugene V. Debs) and pierced, the latter a collaboration with Verb Ballets. CCS will also play Jeffrey Mumford’s a garden of flourishing paths and reach back into avant garde music of the 1920s with Ruth Crawford Seeger’s 1926 Music for Small Orchestra. Other events in BW’s FOCUS Festival include a convocation and discussion with David Lang moderated by composer-in-residence Clint Needham on Thursday, March 17 at 3:10 pm; a large ensembles concert featuring Lang’s o isis and osiris, mountain, evening morning day, and the little match girl passion (like e.e. 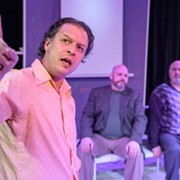 cummings, Lang favors lower-case characters); and a chamber music concert that includes Lang’s the anvil chorus, sweet air, orpheus over and under, ark luggage, selections from memory pieces, and cheating, lying, stealing. All four concerts take place in Gamble Auditorium at Baldwin Wallace University in Berea. CCS requests a $10 donation at the door on March 16, but other events are free. Read a preview here. CityMusic Cleveland begins its five-concert itinerary to venues around the city on Wednesday, March 16 at 7:30 pm with a performance at the HUB 55 Complex, 1361 E. 55th St. led by guest conductor Joaquin Valdepeñas and featuring guest soprano Jeanine De Bique. Valdepeñas, whose day job is principal clarinet in the Toronto Symphony, will conduct Ludwig van Beethoven’s Overture to Prometheus, Edvard Grieg’s “Solveig’s Song” from Peer Gynt, and Ludwig van Beethoven’s chronicle of a ramble in the countryside, the Pastoral Symphony (No. 6). De Bique will join the orchestra for Georges Bizet’s “Je dis que rien ne m’epouvante” from Carmen, and Giacomo Puccini’s “Quando m’en vo’ soletta” from La Bohème. Busy on Wednesday? The orchestra has four more performances scheduled on Thursday, March 17 at 7:30 pm at St. Jerome Church (15000 Lake Shore Blvd. ), on Friday, March 18 at 7:30 pm at Lakewood Congregational Church (1375 W. Clifton Blvd. ), on Saturday, March 19 at 8:00 pm at the Shrine Church of St. Stanislaus (3649 E. 65th St.), and on Sunday, March 20 at 4:00 pm at Fairmount Temple (23737 Fairmount Blvd. in Beachwood). No charge for any of these concerts, but CityMusic will be happy for your donation. Read an interview with Jeanine De Bique here. It may seem like a strange combination, but vocalists Rosario Le Tremendita and Mohammad Motamedi are out to bring Spanish flamenco and Iranian classical music into a lively conversation, if not a synthesis. You can hear the results in Qasida in Gartner Auditorium at the Cleveland Museum of Art on Wednesday, March 16 at 7:30 pm. Read a ClevelandClassical.com preview here. Les Délices, Cleveland’s period instrument ensemble specializing in French Baroque music, will settle into Ohio City next weekend for a residency full of free events. The agenda begins with two open rehearsals led by director and oboist Debra Nagy (see how the sausage is made!) on Thursday, March 17 from 1:00 pm to 4:00 pm and 6:00 pm to 9:00 pm at Historic St. John’s Episcopal Church (2600 Church Avenue). The ensemble will play short “Pop-Up” concert sets at The Canopy (3910 Lorain Ave.) on Friday, March 18 from 7:00 pm to 9:00 pm. Then they’ll give a Performance-Presentation on Saturday, March 19 from 11:00 am to noon at Carnegie West Library (W. 38th & Fulton Rd.) introducing the harpsichord, viola da gamba, baroque violin, baroque oboe, and recorder. Also on March 19 from 3:00 pm to 4:00 pm, you can learn the basics of baroque dance under the expert tutelage of violinist and baroque dancer Julie Andrijeski in a workshop at Franklin Circle Church (1668 Fulton Road). The weekend, part of Early Music America’s Early Music Month, culminates in a concert by the whole ensemble on Sunday, March 20 at 4:00 pm at Historic St. John’s. None of this will cost you a sou! Among the largest volunteer musical organizations in the city, the Cleveland Orchestra choruses (including COC, the Youth Chorus, and the Children’s Chorus) will sing a benefit concert at Severance Hall on Saturday, March 19 at 7:30 pm in Severance Hall. The program, conducted by Robert Porco, Lisa Wong, and Ann Usher, will end with Maurice Duruflé’s Requiem with Todd Wilson at the E.M. Skinner organ. You probably know somebody who sings in one of these groups, so this is a good opportunity to come out and support the choral team. Seats are only $15, but if you want to splurge, you can have one reserved for $100. Proceeds go to the educational and touring activities of the three ensembles. Tickets can be purchased online. The first day of spring also happens to be Johann Sebastian Bach’s birthday. Arts Renaissance Tremont will add the 331st candle to his cake on Sunday, March 20 at 3:00 pm with its annual Bach Birthday Celebration at Pilgrim UCC Church (2592 W. 14th St. in Tremont). Organist Robert Schneider will play some chorale preludes, and violinists Isabelle Durrenberger and Kiarra Saito-Beckman will be featured in Bach’s double violin concerto. The festivities will end with the master’s third Brandenburg Concerto. The concert is free, but Arts Renaissance Tremont will happily accept your donation at the door. 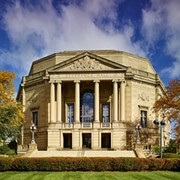 For details of these and other events, visit the ClevelandClassical.com Concert Listings page.